This book reflects over twenty years of study practice and research on traditional Indian medicine referred to as Ayurvedic Medicine or Ayurveda. Ayurvedic medicine has many different branches one such is Ayurvedic Acupuncture. This can be termed as an accessory therapy since it was used in conjunction with other forms to affect healing. It belongs more correctly to branch of surgery one of the eight medical disciplines of ayurveda. Acupuncture is the most unique and conspicuous feature of Chinese medicine. Ayurvedic medicine does not contain such a clearly visible system of pressure point therapy in its practice today as does acupuncture. Yet it does contain traces of such a system. Ayurvedic books contain classification of special points called marmas or sensitive points. 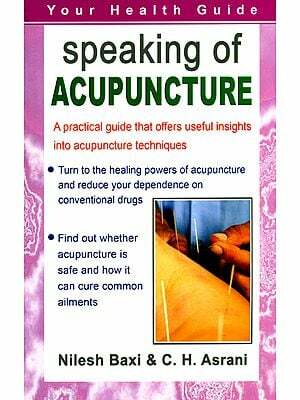 Dr. Frank Ros an Ayurvedic practitioner and acupuncturist from Australia introduces here an Ayurvedic model for the practice of acupuncture. This model is remarkably like the Chinese model. As we look more deeply however we see that the similarities between the two approaches are based upon a common knowledge and a common tradition. Ayurveda and Chinese Medicine are the two oldest and best developed of the natural healing traditions of humanity. This is not surprising as they are the medical systems of India and China the largest and oldest of the world’s civilizations. The two systems have come tot eh forefront again with the revival of traditional medicine that is happening today throughout the world. we are recognizing that traditional medicine like the earth itself has special powers of healing particularly for deep seated disorders that we have overlooked in the rush to develop a standardized technologically based medicine. To deal with the problem caused by technology, stress, artificial life style and global pollution we are once again seeing the value of these natural healing systems and their ability to harness the very life force of nature itself. Both systems which are recognized by the world health organization are now being practiced and Chinese medicine itself is becoming legalized all over the world. The Medicine of the coming century is bound to have a powerful imprint from both these two ancient currents of healing which offer safe and proven remedies as an alternative to the allopathic medicine whose limitations particularly in the treatment of chronic diseases are becoming evident everywhere. Naturally an attempt to connect these two important systems of medicine is already happening students of one system will usually have an interest in the other. Chinese acupuncture itself is now being practiced in India. Ayurvedic medicine is developing in Japan and may perhaps soon be introduced into China as well. The two systems possess an affinity for language approach and methodology with their emphasis on the life force the elements and qualities of nature. In Chinese medicine this takes the form of yin and yang, chi and the five elements of earth, water fire, wood and metal. In Ayurvedic medicine, it takes the form of the three Doshas or biological humors (Vata, Pitta and Kapha) and the five elements of earth, water, fire, air and ether. Both systems speak of wind, fire and phlegm disorders and employ similar methodologies to treat them. Both systems classify food and herbs by taste, element and heating or cooling energy. Both Chinese and Ayurvedic medicine are based upon systems that are built into the oldest layers of their cultures. The Chinese system reflects the language of the I China, the oldest Chinese book. The Ayurvedic system reflects the language of the Vedas, the oldest of the books of India. They are not simply extraneous medical systems practiced by an educated elite but rooted in the entire culture and in the very life of the common people of their countries. These include the diet and folk medicines of the various local cultures of their diverse regions. Such a living system of healing that includes self-healing and home remedies is exactly what we need today, to reintegrate medicine into life. The two systems also have many historical links. India and China have maintained a steady commerce of trade and exchange of ideas going back to prehistoric times. Though the two subcontinents are next to each other their separation by the high Tibetan plateau, the Central Asian desert and the jungles of southeast Asia has made contact difficult, but not impossible. The Silk Trail between China and the West always involved a trade route from China to India. Sea routes from the South of India to southern China have also been in existence for over two thousand years. Tibet itself represents a composite culture of India and Chinese influence which includes both these medical systems. The most notable contact between India and China was through the movement of Buddhism from India, but links before and after these periods existed as well. In my own studies I became interested in both systems at an early point. After having examined both systems in depth, it became clear to me that the differences between the two are more semantic than substantial, and that by changing a few key terms, the corpus of knowledge of one system can be translated into the other, thus significantly widening the scope of each. However, preoccupation with other pursuits has not left me the time to pursue this matter in detail. Therefore, it is heartening to see other people take up such a pursuit. This volume is an excellent example. Much of the herbal medicine of the Chinese and Ayurvedic system shows points of commonality. That is why in my books Ayurvedic Healing and The yoga of Herbs, mention is made of relevant Chinese herbs and formulas to Ayurvedic conditions. Yet the treatment models of Ayurvedic and Chinese medicine, which have similar energetic languages, are not only connected on the level of herbs but also on the level of acupuncture. Acupuncture is the most visible, unique and conspicuous feature of Chinese medicine. Many of us in the West tend to identify Chinese medicine with acupuncture, though the system itself is predominately herbal in nature. Ayurvedic medicine does not contain such a clearly visible system of pressure point therapy in its practice today as does acupuncture. Yet it does contain traces of such a system. Ayurvedic books contain classifications of special points, called marmas or “sensitive” points. It describes the body in terms of various channel systems (srotamsi or nadis), much like the meridian systems of Chinese medicine. Unfortunately, Ayurveda and other Vedic systems in India, have been preserved in family traditions and, as a rule, do not share their secrets openly. This means that the knowledge available about Ayurveda in books—even in the lndic languages of which few have been translated into English—represents only a fraction of what is kept hidden and is the subject only of oral transmission. 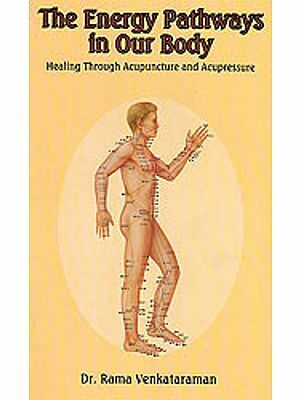 Such secrets of Ayurvedic acupuncture or pressure point therapy can be found in mile traditions in India today. Dr. Frank Ros, an Ayurvedic practitioner and acupuncturist from Australia, in The Lost Secrets of Ayurvedic Acupuncture, introduces an Ayurvedic model for the practice of acupuncture. This model is remarkably like the Chinese model, which may be surprising at first to those who know only Chinese medicine. They will see their own system presented according to a slightly different treatment line. As we look more deeply however, we see that the similarities between the two approaches are based upon a common knowledge and common tradition between the two systems. Dr. Ros has studied the hidden or lost Ayurvedic traditions in India. Martial arts and massage systems, particularly in South India— from which the Chinese martial arts may have developed, along with the movement of Buddhism from South India to China—reflect an acupuncture-like knowledge of the pressure points on the body. South India has been a repository of ancient knowledge of all types in India. It was the main region of refuge in the subcontinent from the cruel Islamic onslaught of the Middle Ages in which most of the monasteries and temples in North India—including the great universities and libraries of Takshashila and Nalanda—were destroyed. Dr. Ros’ book is extremely readable and very practical. He shows how acupuncture can be easily understood in terms of Ayurvedic medicine Almost any acupuncturist can use the book to incorporate an Ayurvedic point of view into his or her own practice Similarly, Ayurvedic students can use the book to incorporate acupuncture in their study and practice of Ayurveda. He has established the main translation of terms between Ayurveda and Traditional Chinese Medicine, which itself is useful in attempts to correlate the two systems on all levels. With such an important ground-breaking work (linking the two systems of medicine), their eventual reintegration is bound to be a matter of time. Whether Chinese medicine may have an Ayurvedic root is bound to remain a debatable point. The antiquity of both systems and the difficulties in historical interpretation make any statements in this regard tentative Recent historical evidence is also suggesting much greater antiquity for both these ancient cultures. For example, the rediscovery of the ancient Sarasvati river system and the Mehrgarh site, shows an organic development of civilization in India, going back to 6500 BC with a strong Vedic (Aryan) presence from the earliest era. This gives a much greater antiquity to Vedic Culture of which Ayurveda is a part than has been previously though. In my book Gods, Sages and kings: Vedic Secrets of Ancient Civilization I tried to present some of this information including a small section showing the probable antiquity of Ayurveda according to this new model. Meanwhile the antiquity of ancient Chinese culture is also being extended backwards. We are being forced to recognize that our ancient ancestors had not only spiritual secrets but secrets of healing and possessed cultures that were much older and more sophisticated that we have yet realized. In any event an alliance of traditional Chinese medicine and ayurveda is bound to emerge both in terms of herbs and acupuncture. It will greatly broaden the scope of natural healing throughout the world and will reintroduce natural healing with a strong clinical model and a vast clinical experience. In this development the work of Dr. Ros and his present book represents an important breakthrough. We look forward to additional books from the author going into greater detail about the profound connection between acupuncture and ayurveda. This book reflects over twenty years of study practice and research on traditional Indian medicine yet the concepts outlined herein have been developed and refined over thousands of years. This traditional Indian medical system is referred to as ayurvedic Medicine or ayurveda. Ayurveda means the Science of life it is both a curative and a preventive form of therapy. It is also holistic since the whole person is diagnosed and treated not just the particular symptom which is evident. It isn’t a matter of my pain is lessened but rather I feel better I am well where I refers to the person as a whole and not just the localized symptom. Ayurvedic medicine is thousands of years old but it is still as relevant today as it was in ancient times. Although no one can yet be sure when it first originated it is generally well know and agreed that it was utilized in India more than 5000 years ago. Yoga and ayurveda are generally considered to have been practiced in the ancient Indus Valley an area in India ( and modern Pakistan) which receives a great deal of attention through present day archaeological discoveries. It appears as though the people of this area of Harappas and Mohenjo Daro Suddenly disappeared or were quickly swallowed up by waves of incoming invaders related to the Aryan civilization. The first documentation of these concepts occurred only about 2-3 thousand years ago. Previously they were mainly taught through word of mouth generation to generation. Nevertheless the Vedas (ancient Indian texts written about 7000 years ago) do mention Ayurvedic medicine and acupuncture (needle therapy). With the flowering of Buddhism in India in 563 BC, learning centers on universities were encouraged and establish especially by the orders of Emperor ashoka. Hospitals were built and most of the arts and sciences were taught and practiced especially at the Indian Buddhist university of Takshashila. Even martial arts were taught in these centers by the Buddhist monks. As the Dharma (or Buddhist law) did not allow monks to use weapons even for self defense unnamed self defense was practiced. As explained in the text Milindapanha unarmed self defense was taught as part of the Nineteen Arts which also included Medicine. The Milindapanha is a scripture of questions and answers between the Buddhist king Milinda and the superior monk Nagasena. This excerpt demonstrates the expertise (although of a secretive nature) that the monks must have had in unarmed self defense even against weapons. This knowledge was employed when Buddhism began to extend not only throughout India but also to most of the oriental countries. During their travels the monks encountered thieves and opponents of their new religion. Their reluctant use of unarmed methods of self defense must have saved many a monk’s life and allowed their doctrine to reach the further most corners of the Orient. China for instance built a special monastery at Shaoshih Peak of Sungshan Mountains (Honana province) to accommodate monks traveling to China from India. This monastery built in 300 AD was called the Shaolin Temple and later became renowned for its expertise in Buddhism, martial arts and medicine. Monks later also entered other countries such as Korea Japan and Indonesia. Their forms of healing and self defense were taught to the new local monks which explains why Ayurvedic concepts can be found in most oriental countries today. With the gradual decline of Buddhism in India (caused by various factors including increased popularity of Hinduism), Buddhist ideas receded into the background and in some cases remained secret Ayurveda and other arts and sciences were later banned by the British East India Company. Only very traditional practitioners retained and practiced them under threat of execution if discovered. After Mahatma Gandhi achieved independence for India during the early part of this century, traditional concepts were once again encouraged to be practiced. Unfortunately the task of finding reputable practitioners from whom to learn all the concepts of Ayurveda correctly has been a formidable task. Today more and more knowledge is coming to light as reluctant practitioners share their secret and often family related heirlooms of medicine and martial arts. There is a wealth of information waiting to be shared with the west but unfortunately India has always been reluctant to export its ideas or has not utilized modern marketing techniques to capitalize on its assets. Traditionally Indians have been more concerned with transcending time than making a profit out of it. Ayurvedic medicine has many different branches as it is the study of the whole body and life. One of these branches is Ayurvedic Acupuncture. This can be termed an accessory therapy since it was used in conjunction with other forms to effect healing. It belongs more correctly to the branch of surgery one of the eight medical disciplines of Ayurveda. Ayurvedic surgery in ancient India was extremely advanced (India was normally considered the most advanced country in surgery in ancient times). Plastic surgery of the nose was a routine operation during Sushruta’s time. Sushruta is the ancient renowned Ayurvedic surgeon. Broken bones were also mended with metal pins in much the same way they are today. Today there is no doubt that Ayurvedic Acupuncture originated from the practice of using needles in surgery and the knowledge of the pressure points (which was also utilized by the surgeons in India).